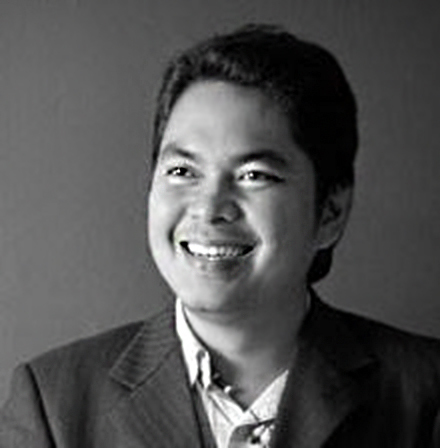 A product of University of the Philippines College of Fine Arts majoring in Sculpture, Glenn Cagandahan is consistent winner in the national art competition Art Association of the Philippines from 2004 to 2007, winning Second Prize 2006 in Sculpture Category. In May of 2008 he was internationally auctioned at Borobudur Auction House for his sculpture ‘Best friends’ and was successfully sold. He is currently teaching Humanities 2 at the University of the Philippines Los Baños. Glenn aims “to improve and mobilize the present level of production in sculpture making” in order to enrich Philippine Sculpture as an entire heritage complete with its own cultural identification. from traditional sculpture materials like wood, metal, stone, terra-cotta, glass, to modern materials like resin, fiberglass, plastics, and ready-mades. His studied technique informs the expressionist use of epoxy clay generously endowed upon steel armatures. Old matter sloughs off to proceed to the new. Meanwhile, old themes grow in complication and expressive force – for Cagandahan likewise projects upon Philippine Sculpture various innovations of form. The dreamy melt of Dali’s paint and the severe attenuations of Giacometti’s structures find voluptuous convergence in the folksy proportions of his earth spirits, guitar players, and carabao riders. These current results linger in the eye with eerie yet genial stillness. Unfamiliar shapes greet us, but we are brought back home.